Did you know that premature deaths in America have increased by 2 to 5% since last year? And health conditions like heart diseases and cancer represent the most common causes of premature death. Now, what if we tell you that a superfood costing just a few pennies can reduce the risk of premature deaths associated with life-threatening health conditions by as much as 85%? We’re talking about flax seeds here. This humble seed prevents cancer, unclogs arteries and protects against radiation toxicity. But that’s not all. Below we’ve discussed all the flax seeds health benefits in detail. Keep scrolling! Flax seeds, also called linseeds are one of the most nutrient dense foods. It’s renowned for being the richest source of omega 3 fatty acids and lignans. Apart from these two potent nutrients, flax seeds also provide the body with fiber, protein, selenium, vitamin A, B, E, manganese, magnesium, potassium, zinc, copper, and iron. As for the calories, a 100 gram serving of flax seeds will give you 534 calories. With such a high a nutrition profile, flax seed deserves the top mention on the list of most powerful foods. One of the most unexpected benefits of flax seeds is that it assists in weight loss. Flax seed contains a high amount of mucilage gum, a gel-forming fiber that keeps the stomach full for a longer time, thereby preventing overeating. Also, the soluble fiber in these seeds promotes weight loss by reducing hunger cravings. The ALA fats or omega 3 fatty acids as it’s better known, contribute to reducing inflammation. This is crucial as the inflamed body holds on to excess weight. Even a study on weight loss diet found that flax seeds decrease the inflammatory markers by 30 to 46% when compared to weight loss diets without them. Additionally, flaxseed is also high in soluble and insoluble fiber, which detoxifies the colon to expedite weight loss. Soluble fiber in flax seeds traps cholesterol and fat in the digestive system, preventing it from being absorbed by the body. It also traps bile made from the cholesterol in the gallbladder. The bile is thereafter excreted through the digestive system, which forces the body to produce more bile, using up the excess cholesterol, and lowering the cholesterol in the process. 10 grams of flaxseed contain 42% fat, out of which 73% is composed of polyunsaturated fatty acids like omega 6 and omega 3 fatty acids and alpha-linoleic acid (ALA) and 27% consists of saturated and monounsaturated fatty acids. ALA is an essential fatty acid that cannot be produced by the body. Therefore, we must strive to obtain it from the foods we eat. Flaxseed, being the richest plant source of ALA, will help your body meet the recommended amount with ease. Carpal tunnel syndrome, caused due to excess pressure on the median nerve, is considered a mysterious medical condition. Most of the medicines have been proven to be inefficient in treating carpal tunnel syndrome. But mother nature has provided its treatment in the form of flaxseed oil. The high amount of alpha linoleic acid in flaxseed oil is known to reduce inflammation by inhibiting the cyclooxygenase (COX) inflammatory pathways of COX-1 and COX-2. These pathways are linked to numerous condition, including carpal tunnel syndrome. One of the biggest health benefits of flax seeds is its ability to promote digestive health. ALA in flax seeds maintains the GI health, protects the digestive tract lining and reduces gut inflammation. This is particularly advantageous for people suffering from gluten intolerance, Crohn’s disease, and other digestive ailments. Apart from this, fiber in flaxseeds also provides food for the friendly bacteria in the colon to ward off waste from the system. Flax seeds can also provide relief from constipation by adding bulk to the stool. You just need to take 1 to 3 tablespoons of flaxseed oil with half a cup of carrot juice to alleviate constipation. Soluble fiber in flax seeds binds to the water in the digestive tract and increases the bulk of the stool, curing diarrhea. According to a report released by the World Health Organization, 1 in 10 adults had diabetes in 2012. So if you want to save yourself from this crippling disease, you should start eating flax seeds right away. Flax seeds do not just prevent, but also reduce blood sugar levels in the body. It’s been proven that consumption of 10 to 20 grams of flax seed powder for 1 to 2 months can reduce the fasting blood sugar by up to 20%. Several animal and test tube studies have confirmed that flax seeds could suppress the formation of several types of cancer, including breast, skin, colon and lung cancer. A study published in the Journal of Clinical Cancer Research found that daily consumption of flax seeds could reduce the possibility of breast cancer. The three lignans found in flax seeds get converted into enterolactone and enterodiol by the intestinal bacteria, which balance the hormones and reduce the risk of breast cancer. Another study conducted by the Journal of Nutritional discovered that lignans in flax seeds reduce the possibility of developing ovarian, prostate and endometrial cancer by disrupting the events that lead to cancer cell production. 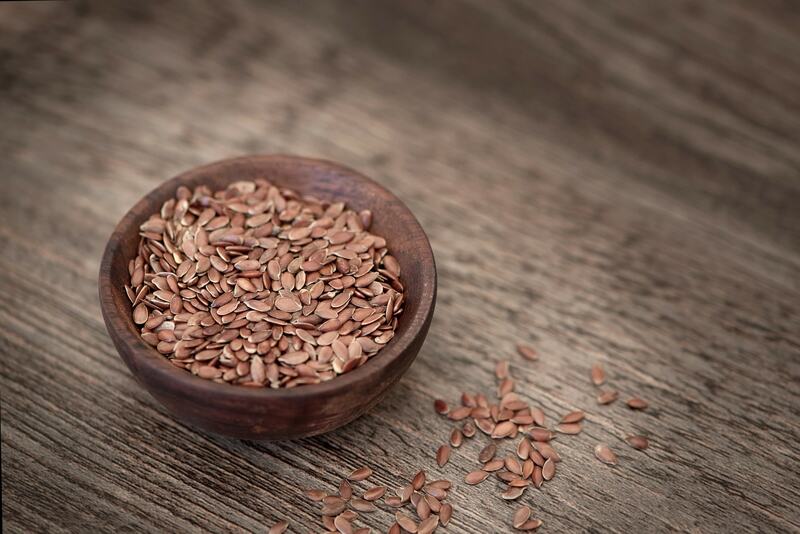 Furthermore, flaxseed supplements can reduce melanoma tumors by 63% as proven by Omaha researchers. Doctors prescribe plenty of antidepressants to assess depression, but a Japanese study has found that adding flax seeds to the diet can be equally useful. The study found that people with higher depression levels also suffered from low levels of eicosapentaenoic and docosahexaenoic acids, the same acids found in flax seeds. So by eating up flax seeds, you can easily correct those imbalances. Do you find hard to shake off the habit of excess alcohol consumption? Well, then you may be putting yourself at great risk. And one serious possibility is liver diseases. One excellent way to reduce the risk of liver disease is by eating flax seeds. A recent study conducted on 30 men concluded that flaxseed lignan capsules could lower the risk involved with the liver disease. Just a 100 mg supplement of flax seed could be beneficial. Linens are often used as an alternative to hormone replacement therapy because of its estrogenic properties. Thus, flaxseed can help menstruating women maintain their monthly cycle. It also helps to deal the extreme PMS symptoms like anxiety, mood swings, and headache. Dr. Gargi Sharma, a Delhi-based nutritionist, says that flaxseeds can help reduce menopausal symptoms like night sweats and flushing. To avail this benefit, you need to include 1 to 2 tablespoons of flaxseed meal and one tablespoon flax seed oil in your breakfast smoothie. There have been several debates among nutritionists on how one should consume flax seed. And the majority of nutritionists opine that flax seeds are best consumed in the powder form. These shiny brown seeds have a hard and crunchy covering, which, if not chewed properly would provide no nutrient to the body. You can either buy the pre-ground seeds or grind it yourself in a mixer. If you’re grinding the seeds at home, do it just before eating so that they are not exposed to air for a longer time. Use flax seed powder for making granola bars. Add whole or ground flax seeds while making granola bars. Flaxseeds have cyanogenic glycosides, a plant compound which binds the sulfur compounds in the body to form thiocyanates. 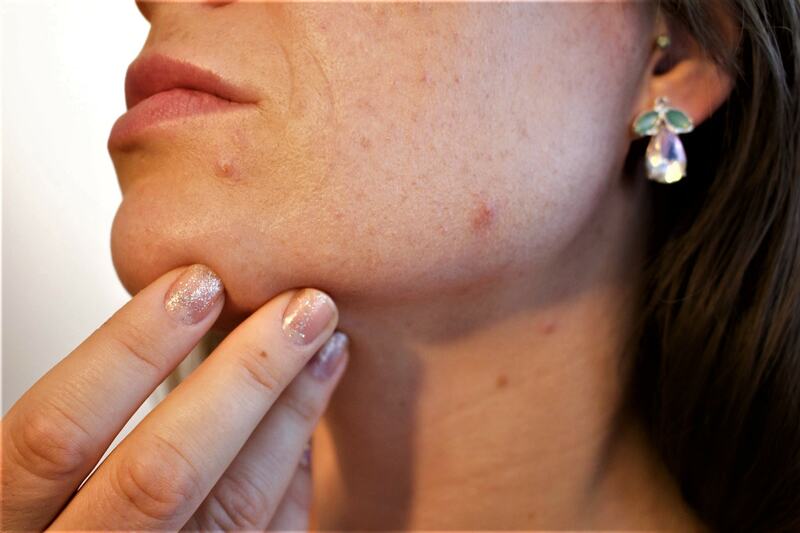 But excessive amounts of thiocyanates in the body can impair the proper functioning of the thyroid glands. So those who have thyroid problems must avoid excess consumption of flax seeds. A moderate consumption, 20 grams a day to be precise, is considered healthy and safe. Just like the other seeds, even flaxseeds contain phytic acid, an antinutrient, which thwarts the absorption of minerals like zinc and iron by the body. But phytic acid impairs mineral absorption in just one meal, not the subsequent meals. Hence, it isn’t a major concern unless you’re highly deficient in iron. Flaxseeds can cause mild digestive problems like nausea, bloating, gastritis and abdominal pain in people who’re not used to eating large quantities of fiber. Flaxseeds may even increase the frequency of bowel movement since it is a natural laxative. Excessive levels of omega 3 fatty acids in the body can have blood thinning effects. So if you have bleeding disorders or if you’re taking blood thinners, consult your doctor before incorporating flaxseed into your diet. How To Eat Flax Seed For Weight Loss? You can add flax seeds to salad, smoothies, and cereals as a part of your weight loss plan. It will add a crunchy texture, toasty flavor and a nutritious spin to your dish. How To Eat Flax Seed Powder For Weight Loss? You can replace 15% of the flour in your recipe with flax seed powder. Or you can use flax seed powder as a substitute for fats and eggs. 1 tablespoon of flaxseed powder with 3 tablespoons of liquid is enough to replace an egg. How To Eat Flax Seeds For Hair Growth? Take 2 tablespoons of flax seed powder every day with water or add in your shakes. You will get thick and long mane in no time. How Much Ground Flaxseed Should I Eat Per Day? You do not need to load up of flax seeds. Just one to two tablespoons of flax seeds is enough to help you meet your daily nutritional requirement. Just ensure that you drink plenty of water with it. Is Ground Flaxseed The Same As Flaxseed Meal? Yes, ground flaxseed is same as flaxseed meal. The term meal is used to describe any nut, seed, grain or legume ground into powdery substance. We’re sure you must be surprised reading what flax seeds do for the body. So stop scrolling and stock your kitchen with flax seeds right away. Initially, it may feel a bit difficult to cultivate a taste for it, but you’ll get used to it after a while. Do you consume flax seeds? Have you experienced any of the above-mentioned flax seeds benefits? Let us know in the comment section below.